A decade ago, Jan. 24, 2004, the rover Opportunity landed on Mars. Another rover, Spirit, had landed weeks earlier. Scientists believed the rovers would rumble about 1 kilometer (about a half mile) over a three-month span before calling it quits. Spirit was in operation for six years. Opportunity is still chugging along. 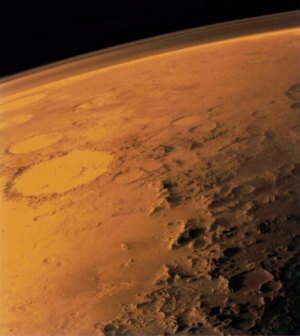 Indeed, scientists are detailing more evidence that Mars could have supported life in the distant past. Their research describes findings gleaned using the rovers. Ray Arvidson, a professor at Washington University in St. Louis and Opportunity's deputy principal investigator, writes in detail about the discoveries made by the rover in the Jan. 24 edition of the journal Science. Rock samples collected and examined by Opportunity have confirmed an ancient wet environment that was milder and older than the acidic and oxidizing conditions told by rocks the rover examined previously, according to NASA. The annual budget to maintain Opportunity is $14 million, scientists said during a NASA press conference Jan. 23. But Opportunity has given them a solid bang for the buck. “No one ever expected this, that after 10 years, the Mars exploration rover would continue to operate – and operate productively, on the surface of Mars,” said John Callas, Mars Exploration Rovers project manager for NASA's Jet Propulsion Laboratory. During the past decade, Opportunity has covered 38.7 kilometers, about 24 miles. It has weathered 3,500 Martian days, collecting 170,000 images. Recently, the rover had a “senior moment,” Callas said. There was an “amnesia event” with the flash file system. If it gets worse, scientists will take corrective action.